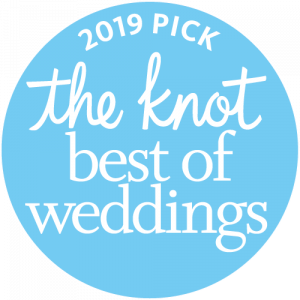 Lake Shore Dance Academy is proud to announce being awarded The Knot’s pick for best of weddings 2019. We would like to thank all of our couples who took wedding dance classes at Lake Shore Dance Academy, it would not have been possible without them! We were honored to play a small part in their Big Day by helping them make their Dream First Dance a reality! We are looking forward to ring into New Year with new wedding dance ideas and to help new Brides and Grooms with their First dance by creating unforgettable dance memories that will last a lifetime! We have worked with many wedding couples in the past year and we have developed effective teaching methods to help couples with different skill levels, needs and desires. Are you a Bride who is dreaming of the perfect Wedding First Dance? LSDA takes pride in helping our couples make that dream come true. Your wedding is one of those wonderful moments in life to remember forever. Your First Dance is an everlasting expression of your love and commitment as Husband & Wife. It’s a moment you will share in front of your family and friends and a story you will recall for decades to come. Whether you are looking for a sophisticated, fun, or maybe even a mash up dance, we will make sure to customize it both to your needs and desires and to the song and dance style of your choice. It can be a dance incorporating a few basic steps or a fully choreographed routine with lifts and dips. Click here to check out some of our real couple’s first dances which LSDA created specifically for them. We know how stressful wedding planning can be, so let us help you with your First Dance. Our goal is to make you feel comfortable and confident while you enjoy this beautiful moment on the dance floor as you dazzle your guests with your dance of love. We believe that the process of learning and preparing for your First Dance is just as important and memorable as the actual First Dance on your special day. Taking wedding dance classes in Evanston, Wilmette, or the north shore as a couple, is a great way to have fun, relax, connect to each other, and makes for a great date night out! By taking wedding dance classes with us, you will be able to make your First Dance an amazing experience, and also dance together during your reception and any other future social events. Unlike flowers or watches, sharing the gift of dance with each other will last a lifetime. For those wedding couples who haven’t selected a wedding song, we have created a list of some great First Dance songs to make this challenging task a little easier. So take a moment with your fiancé to relax, grab a glass of wine, and listen to our playlist. Maybe one of the songs will really inspire you, or the lyrics will have significant meaning to both of you! Happy Searching! What is your typical process for working with a new wedding couple? We can only imagine how difficult planning a wedding can be! We have years of experience in helping many wedding couples with their first dance. You are in good hands, so relax, sit back, and let us handle it, while you enjoy your dance journey! Our Introductory Special & Wedding consultation is a fun 45 minute lesson where we will first ask you a few questions about your vision for your first dance. If you don’t have one, thats perfectly fine too! During the initial lesson we will get to know your personalities and recommend dance styles that fit your initial vision and collaborate so your dance will be exactly what you have always dreamed of! With practice between lessons and dancing in front of our dance family, overcoming stage fright will be much easier and your dance will look perfect on your wedding day. Before the introductory lesson, there will be an initial phone conversation about your interests in wedding dance classes. You will be provided with information about the types of dancing offered as well as discussing schedule availability and your wedding timeline. Dance Styles We Teach: Rumba, Waltz, Foxtrot Tango, Salsa, Cha Cha, Swing, and Hustle. Please visit Dances We Teach for a full list. How Long are our Wedding Dance Classes? Our lessons are 45 mins long. For couples who’s wedding is within 2-3 weeks away we always recommend a crash course, where we schedule 90 min sessions to increase their pace of learning. How Many Wedding Dance Classes Do We Need? How Often? There is no good answer to this question. The truth is that each of us has different dance abilities. It also depends on your song choice, length of the dance, how much you practice, complexity, and budget. Let’s face it, as a bride would you be happy with “one size fit all” option for your dress? Definitely not, it has to be tailored to your desires, just like a wedding dance! We recommend starting wedding dance classes 5 months before your wedding to make sure you have enough time to learn and perfect your dancing. If you’d like to learn a fully choreographed dance, start as soon as you can. Our couples generally do 1 to 3 hours of dancing a week. Our introductory wedding dance class is only $40! After that price varies from $75/hr to $95/hr depending on the number of hours purchased at a time. With bigger packages we offer Bonus lessons and complimentary practice dance sessions. Please contact us for more details about pricing. If you have any other questions, fell free to check our Wedding FAQ page. Are you ready to start creating dance memories which will last a lifetime, don’t wait! CALL US NOW! We would be honored to play a part in your wedding! 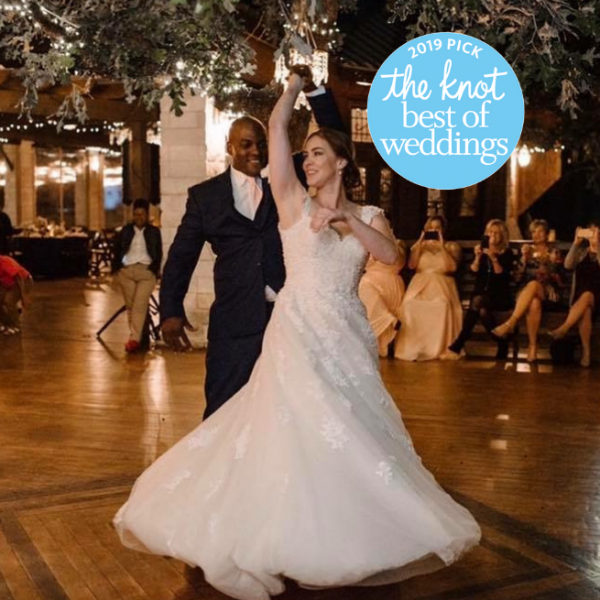 Again, Big Thank you to our Wedding Couples of 2018 who trusted us with their dream dance, and The Knot for recognizing our hard work!